Vendors promise 802.11n WLAN speed of 600 Mbps, but users find they can realistically reach about 300 Mbps. In order to maximize 802.11n speed and throughput, users find they must have just the right AP configuration and use of antennas. 802.11n is a high-throughput amendment. Maximum data rates increase from the 54 Mbps achieved by legacy 802.11ag WLANs to 600 Mbps in a full-bore 802.11n WLAN. But 802.11n data rates depend upon AP configuration; reaching 600 Mbps requires 4x4 MIMO (multiple-input multiple-output), a double-wide 40 MHz channel, using the new Short Guard Interval (SGI) to reduce time between transmissions. Today's 802.11n APs usually have a top data rate of 300-450 Mbps, but that's still a five- to six-fold increase. Data rates always exceed actual application throughput; today, it is reasonable to expect that you could replace a legacy AP maxed out at 25 Mbps with a new AP capable of carrying 170 Mbps. Of course, new 802.11n APs wear higher price tags. For example, a vendor that offers a dual-radio 802.11ag AP for $400 might charge $800 for a dual-radio 802.11n AP. The math is simple: High-throughput cuts per-megabit AP capital equipment expenditures in half. Of course, these high-throughput savings can be maximized only in fully utilized WLANs. Furthermore, they do not take into account wired network upgrades to support increased traffic load or power draw. However, 802.11n creates a foundation upon which to base high-throughput wireless application rollouts. At these data rates, Wi-Fi compares favorably with Fast Ethernet and can be considered a more flexible, less expensive alternative to tethered network access. Unlike 802.11g, which is limited to three non-overlapping channels in the 2.4 GHz band, or 802.11a, which could use 12 channels in the 5 GHz band, 802.11n can transmit over any channel in either band, including recently added UNII-2e channels. This spectral flexibility means that 802.11n APs can be used to support many more users and applications in a given location. For example, a lecture hall covered by three 802.11g APs might deliver aggregate throughput of 75 Mbps – at 10 clients per AP, that would be 30 users. Replacing those legacy APs with new 802.11n APs @ 2.4 GHz would increase aggregate capacity – for example, at 25 clients per AP, the hall could accommodate 75 users. For better results, replace those legacy APs with 802.11n APs operating @ both 2.4 and 5 GHz to support a mix of old and new clients. This makes it possible to deploy many more 802.11n APs, supporting hundreds of users in a single spot. The number of users that each AP can support depends on many factors, including type of application and competition for airtime. In particular, slower clients have a tendency to dominate WLAN resources, but the ability to deploy 802.11n APs far more densely, coupled with MIMO's signal strength improvements, can significantly increase total WLAN capacity. Using wireless to support large populations that use demanding applications like VoIP becomes not just practical but truly attractive. Like legacy APs, 802.11n AP transmissions carry only so far. Data rate declines with client distance, until signal strength meets noise floor and communication becomes impossible. However, 802.11n APs use MIMO to exploit common indoor RF barriers that block 802.11ag transmissions. Furthermore, 802.11n APs send the same data redundantly to overcome errors. Some 802.11n APs can even use beam-forming to "shape" transmissions to favor each client. The net effect is that each 802.11n AP usually covers a larger area – that is, delivers data at acceptable speeds over greater distances. The degree to which coverage increases depends upon many factors, including the presence (or absence) of barriers that MIMO exploits and client type. For example, an 802.11ag client next to an 802.11n AP will fare little better than with a legacy AP. But 802.11ag clients will be able to roam farther with better signal -- and 802.11n clients will get even better range thanks to MIMO on both ends. Thus, fewer 802.11n APs will be needed to meet coverage requirements. In a typical indoor office environment, it is not unrealistic to hope for a two- to threefold improvement. In other words, if you want to deploy a WLAN to achieve minimum rates over a large area, the cost of doing so with 802.11n could be comparable to, or slightly higher than, with 802.11ag. Clients will enjoy better quality service throughout that area, however, making 802.11n a better investment. 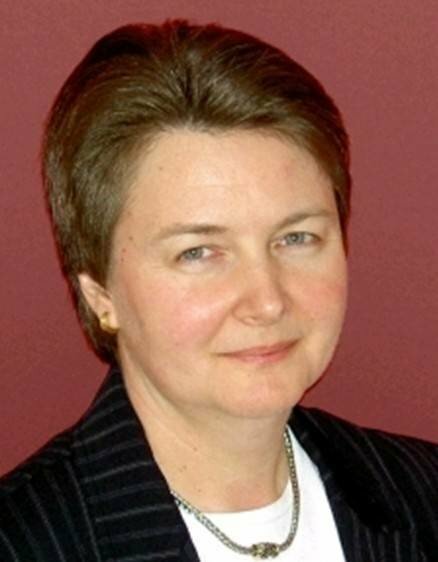 About the author: Lisa Phifer is president and co-owner of Core Competence, a consulting firm focused on business use of emerging network and security technologies. At Core Competence, Lisa draws upon her 27 years of network design, implementation and testing experience to provide a range of services, from vulnerability assessment and product evaluation to user education and white paper development. She has advised companies large and small regarding the use of network technologies and security best practices to manage risk and meet business needs. Lisa teaches and writes extensively about a wide range of technologies, from wireless/mobile security and intrusion prevention to virtual private networking and network access control. She is also a site expert to SearchMobileComputing.com and SearchNetworking.com.